Jerusalem, March 2, 2016 – After decades of studies, scientists now believe that a breakthrough in preserving body organs for the purpose of saving lives is close at hand. 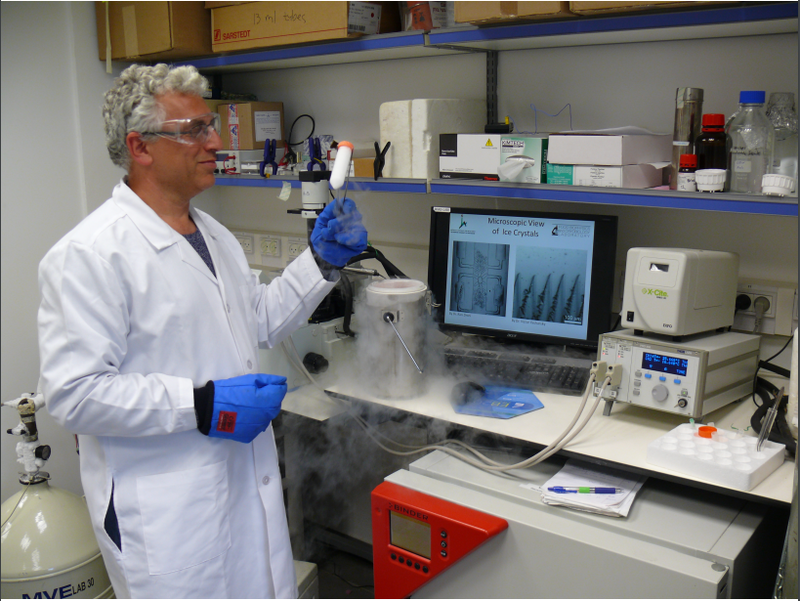 “The ability to freeze organs and to then thaw them without causing damage to the organ itself would be revolutionary in terms of our chances to save lives,” says Prof. Ido Braslavsky from the Institute of Biochemistry, Food Science and Nutrition at the Robert H. Smith Faculty of Agriculture, Food and Environment in The Hebrew University of Jerusalem. Prof. Braslavsky is one of the top researches contributing significantly to this field of research. His work was recently featured in an article in The Economist (http://econ.st/1T0cVim). Together with his Hebrew University team, including Dr. Maya Bar Dolev, Dr. Liat Bahari, Dr. Amir Bein, Dr. Ran Drori, Dr. Victor Yeshunsky and others, and in collaboration with Prof. Peter Davies from Queens University in Canada, he studies Antifreeze proteins – a type of ice-binding proteins that help organisms to resist or to withstand freezing both in sea and on land. “We investigate the interaction of ice-binding proteins with ice crystals. Since we are working at temperatures of sub-zero Celsius degrees and we need high accuracy of working temperature, we designed a specialized microscope with a stage cooler that allows a millidegree-level control of temperature and also freezing. Using fluorescent illumination, we can see where the proteins, which are tagged with fluorescent dyes, are located. 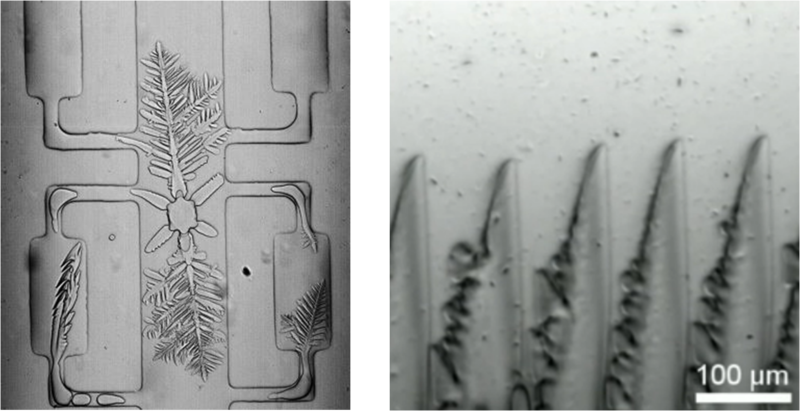 With these devices, we can follow ice crystals as they grow and melt in the presence of ice-binding proteins,” Braslavsky explains. Braslavsky and his students showed that ice-binding proteins absorb to ice via irreversible binding. This study explained how ice-binding proteins stop ice growth, a major mystery that puzzled scientists in the field for decades. With continued research, “We found that proteins in insects are much more efficient in inhibiting ice growth than proteins in fish, but fish proteins bind faster to ice,” says Braslavsky. This finding, published in Langmuir and RSC Advances in 2015, could be crucial for the use of these proteins as cryoprotectants. Last year the first global Organ Banking Summit was convened in California, bringing world-leading scientists, investors and policy-makers together to “stop biological time” and transform transplantation. It followed an announcement by the U.S. Department of Defense, of the first-ever government grants targeted at organ banking.